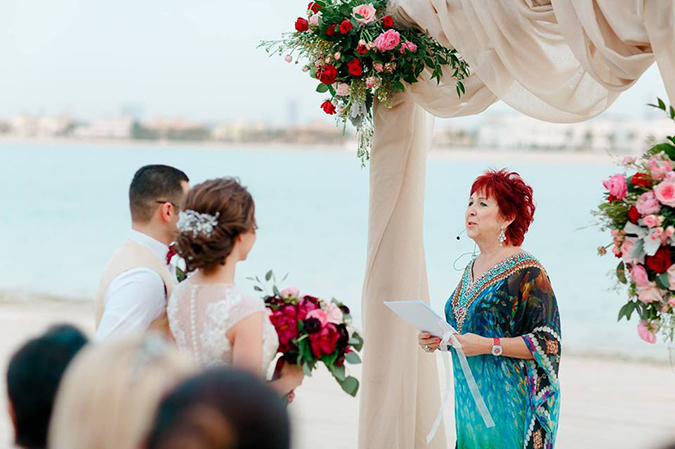 This week we have the privilege of showcasing Theresa du Toit, who is a Wedding Celebrant based here in Dubai. 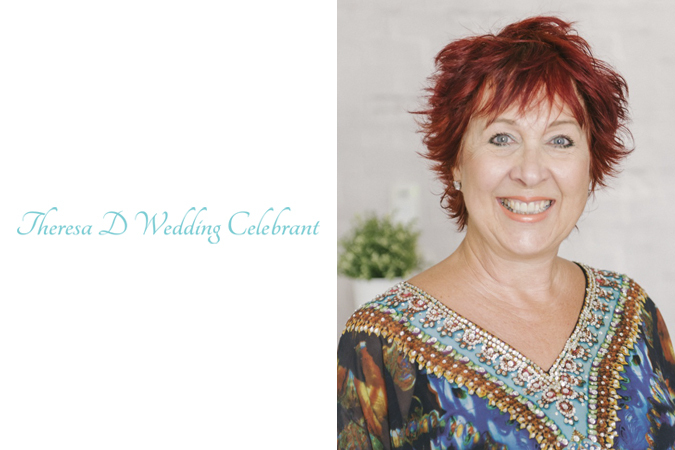 Below, Theresa tells us all about her company, Theresa D Wedding Celebrant, and also reveals some of the amazing weddings that she has been a part of. Above all, her passion for all things love and marriage shines through. Enjoy! Above: Theresa D Wedding Celebrant. What made you decide to become a Celebrant, and how long have you been involved in the wedding industry? 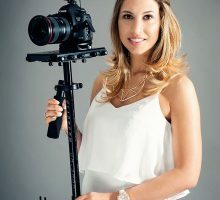 It was a call completely out of the blue, just over two years ago from one of Dubai’s well-known wedding photographers, Lizelle Goussard, suggesting I consider being a Wedding Celebrant! She knew my passion for marriage, my love for people and that I enjoy public speaking, and very kindly said she thought I would be a great celebrant. Believe it or not, at that time I didn’t know about celebrants, and had to Google it, as in South Africa the ceremonies are mostly conducted by pastors and reverends. I knew immediately that this was my calling, and I love every single minute of it. It has been a wonderful journey so far, and I’ve met the most amazing couples along the way. I also love conducting Vow Renewal Ceremonies, and I believe couples should do this often, and not wait for the traditional 15, 20 or 30 years before they do it. It is a beautiful way to celebrate your love for each other, and such an affirmation of your marriage! Celebrate often, I say. I am also now expanding my services to Baby Naming Ceremonies, as this is a natural outflow from Wedding Ceremonies. Babies are such a blessing and a gift, and how special to create a ceremony that celebrates the wonder and miracle of a beautiful baby. Every child is a precious treasure and gift to parents, and its only fitting to celebrate the birth and naming of this little one. 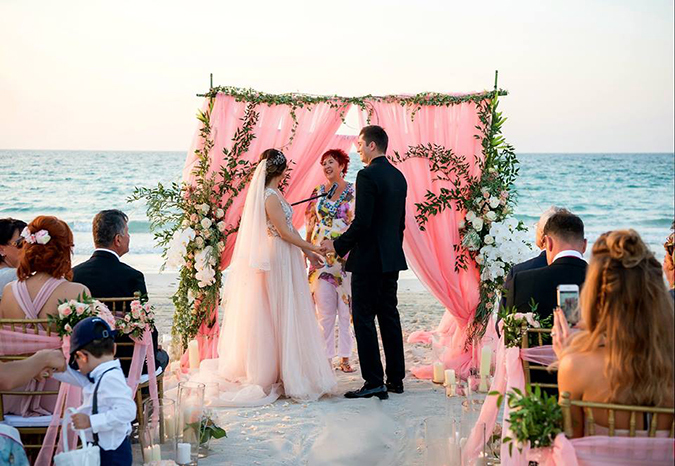 What exactly does being a celebrant involve, and how can you help to guide couples when it comes to the all-important ceremony? Oh, this is such a lovely question! As a celebrant, I conduct the celebration/blessing wedding ceremony for the couples. Most couples by then have already done the legal side of the marriage, and see this as their actual Wedding Day. When I meet a couple for the first time, I like to find out how they met, how love happened. I want to get to know them, connect with them on a personal level and also ask them questions, as to what they envisage for their ceremony etc. No love story is complete without knowing how he proposed. It’s amazing to hear how the guys have planned and plotted to set the scene for The Proposal; how nervous they are in case the ring is lost, or she finds the ring per chance etc. The lengths they go to create a very special surprise for the love of their life is a story in itself. One thing I always tell them is that this day is all about them, and it should reflect their love for each other. Never do something just because people might expect it. No: its all about them. Because it’s their wedding day, they have the freedom to bring into their ceremony whatever they would like to make it as personal as they would want to. To bring that point across I would often say: “you can even sing to each other during the ceremony.” Their reaction to that is normally priceless! Dubai is a multicultural society, and as many couples are from different cultures, it’s a wonderful opportunity to bring in something that reflects that. To me, I see this multicultural diversity as something very beautiful that adds a richness to their lives, and that should be celebrated! I get to meet the most amazing couples and get to hear their love stories, and that in itself is just wonderful. I’m a romantic, I believe in love, I love marriage, and after all, marriage is all about love and romance! I often say I am a Love Merchant, and I am in the Happiness Industry. What an absolute joy to be responsible for making their ceremony so very personal, and to speak words of love, life and wisdom into their lives. My desire is to impart to them an understanding of what it takes to build a love-filled marriage that will cause them to be even more in love years down the line. Every ceremony to me is extremely special, whether its 250 guests or as little as 6 guests, and I have done all of these. 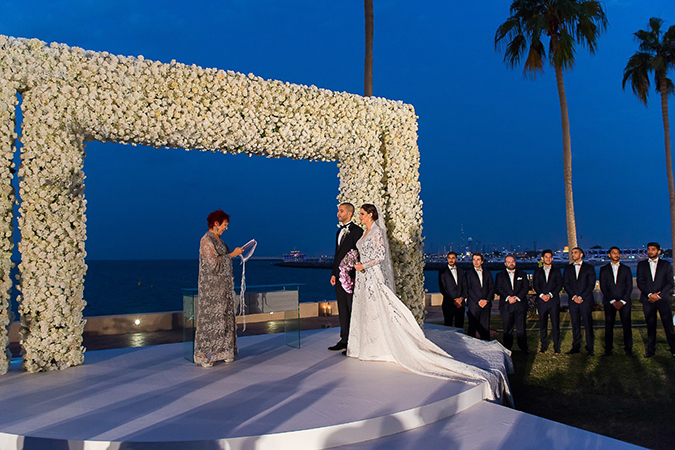 I conducted a ceremony at the iconic Burj Al Arab last year in November with 250 guests, and the setting was just spectacular outside in the garden. The beautiful Brazilian bride and her very handsome German/Kashmiri groom looked so regal! 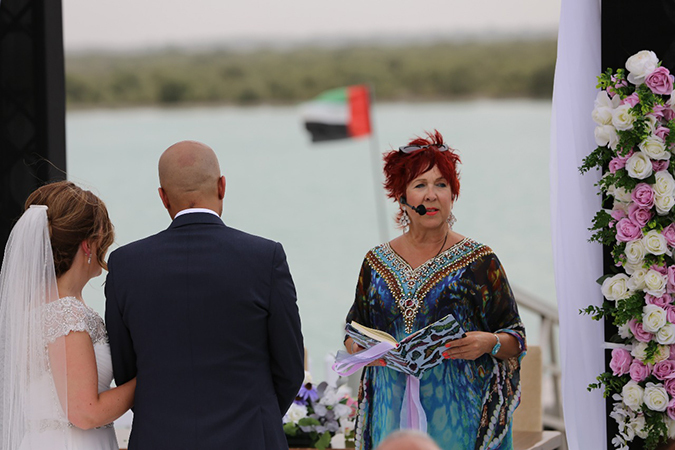 In April last year, I was flown to Bahrain to conduct a wedding ceremony for a British couple living and working there. The wedding was held at the Radisson Hotel and what a joyful family celebration this was. A whole day affair starting with the ceremony in the morning, followed by a 6 course sit down lunch, and then a rocking party that evening! 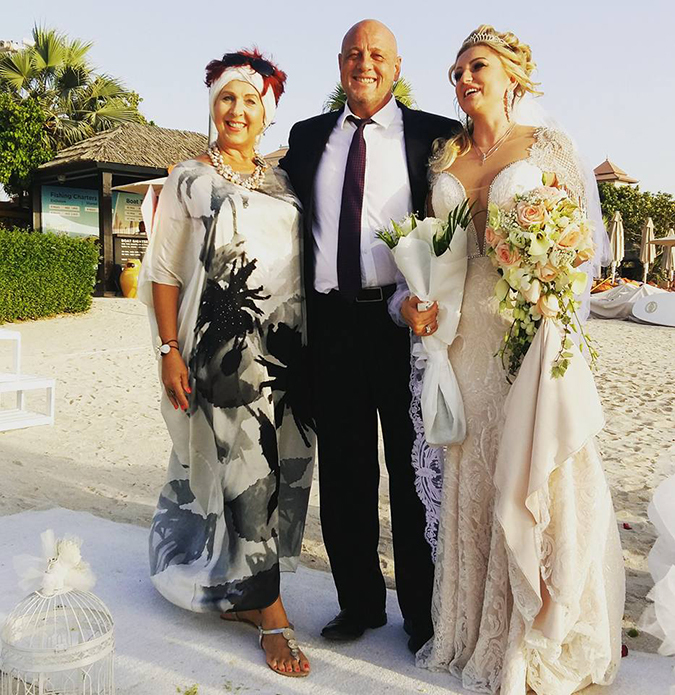 I jetted into Sri Lanka in July 2017 courtesy of a fabulous couple who live and work here in Dubai to conduct their wedding ceremony there. 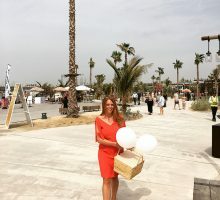 The wedding was held at a beach club right next to the ocean, and all the guests had flown in for the wedding. I had them stand in a semi-circle around the bridal couple for the ceremony – it was so cozy and personal. A few weeks ago I conducted a small intimate wedding ceremony for a Slovenian couple who could hardly speak any English. This was a first for me! Luckily, the bride’s sister spoke English, and thus she translated every word I spoke. Even the bride’s father shed a tear. Just six people on the beach at the Kempinski Palm Jumeirah. To me, every wedding is so unique and wonderful in its own way. I love them all! They will get to know my heart and my passion for marriage, which in turn will give them confidence in my ability to create their dream ceremony. 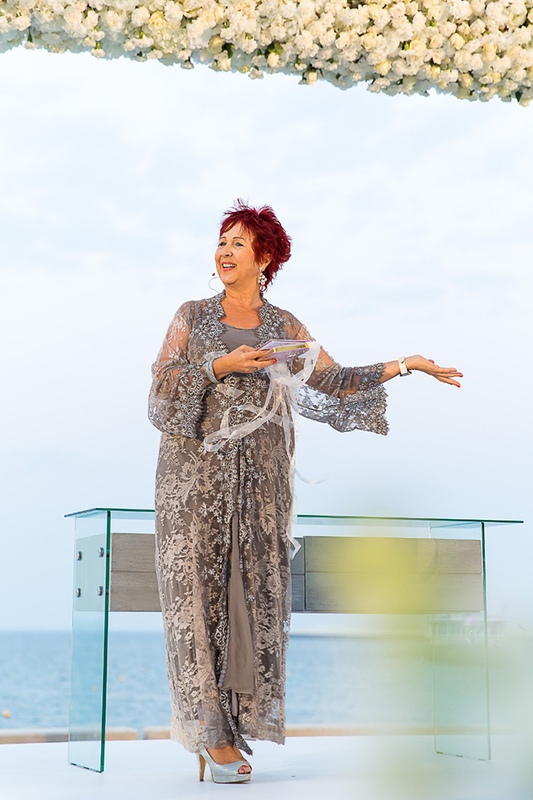 The ceremony in itself is the highlight of the day, and I bring to it my experience as a celebrant in guiding and advising them in adding personal elements to their ceremony and little things that might be overlooked. This is their day, it’s all about them, and I want to make it memorable for them. I believe that trust happens when I make that personal connection with them and they with me when we have our first meeting. When they share with me their love story, what they want on their wedding day, we talk about love and marriage and we just click! We just get each other! Then trust is established and it’s very easy to work from there. 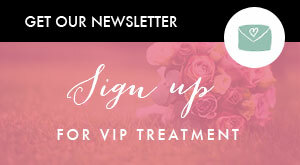 If you could give one piece of advice to our readers and brides-to-be, what would it be? Don’t sweat the small stuff and enjoy your wedding day. Should anything not go according to plan on that day, don’t worry, it becomes part of your Wedding Story. I have a set fee, so whether it’s a big wedding or a small wedding, my fee stays the same. Having said this, I see myself as an international celebrant having conducted ceremonies in other countries, and I am available to conduct ceremonies anywhere in the world. Lastly, why did you choose to list with BCME? That is a very easy question to answer! It is the number one wedding website for this whole region and covers everything and anything related to weddings. 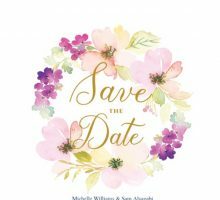 A bride-to-be can source everything right here on this website, saving lots of hours scouring and sourcing for what they need. Secondly, BCME is an award-winning website and that says so much about how effective the website is. Being listed as a Celebrant on BCME has most certainly been a tremendous platform for me as a Wedding Celebrant. Thanks, Theresa! For more information about Theresa’s services, click on her Bride Club ME vendor listing, or head straight to her website.